Barco clickshare cs-100 is a stand-alone wireless presentation system for small meeting rooms. Successful meetings are all about confidence. Confidence in the ideas, confidence in the presentations, but also confidence in the meeting room technology. That is why Barco has developed Barco ClickShare wireless presentation system in Dubai, UAE with this wireless presentation system, users can simply share what’s on their laptop or mobile device, on the presentation screen. No cables, no set-up, no waiting to join in. What is Barco wireless presentation system dubai? The Barco clickshare wireless presentation system CS-100 brings the ClickShare experience to small meeting and huddle rooms where sharing content from a laptop or mobile device is a basic need. Anyone – including guests – can connect with one click and share right away, without the need for any training. Users simply plug a USB-powered device – the ClickShare Button – into their PC or Mac and click the button to get the content from their laptop on the large meeting room screen. With the Barco ClickShare App, users can also share content from their mobile phones or tablets. 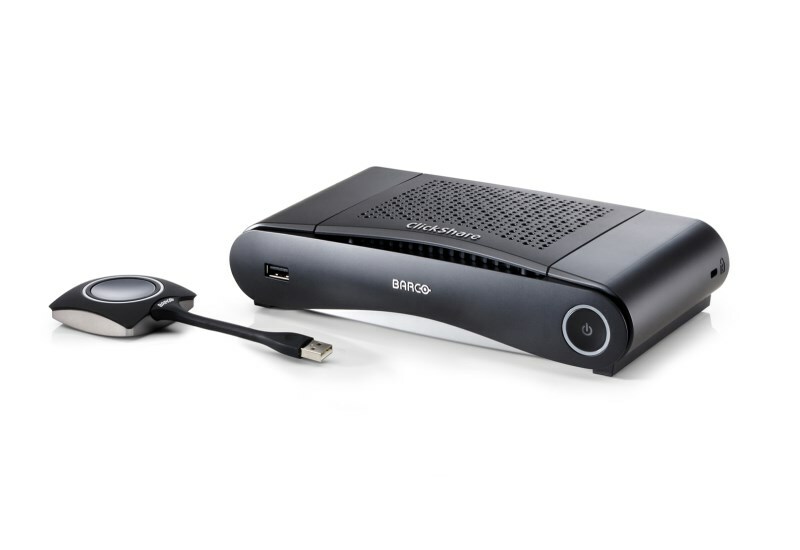 The Barco clickshare CS-100 is a stand-alone model with an HDMI output, that allows up to 8 users to connect and, with one user sharing at a time. Acepaq is distributor and dealer of Barco Clickshare and wireless presenter system in UAE.The clickshare CS-100 includes the standard ClickShare security features including encryption, login management, https and the possibility to hide the SSID of the Base Unit’s wireless network. Extended desktop Available (depending on your operating system). May require ClickShare Extension Pack. Buy Barco ClickShare in UAE from Acepaq – Abu Dhabi, Oman, Kuwait, Bahrain, Qatar, Saudi Arabia. Please contact us for demo, quote, price, product data sheet, installation and our other products are wireless content sharing, wireless display sharing and wireless media streaming system.